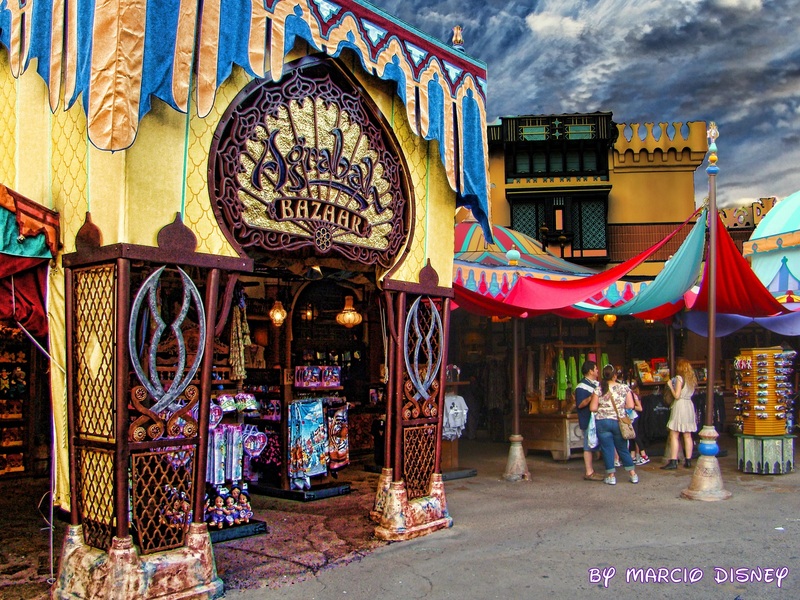 The Agrabah Bazaar is located in adventureland at Magic Kingdom, next to the "The Enchanted Tiki Room - Under New Management" and across from the "Swiss Family Tree House" and has Aladdin-wear and the all-important Jasmine costume, as well as Moroccan-made carpets, carvings, and masks. Very nice looking bazaar! The color is perfect and people must be curious to get into the store a lot.